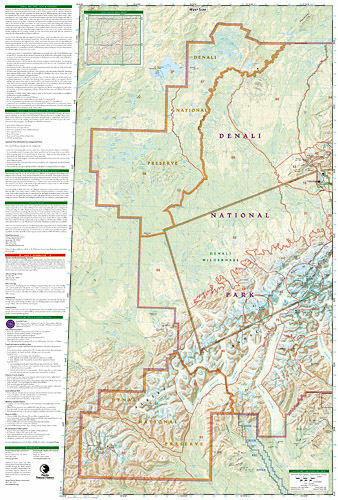 Denali National Park & Preserve [ti222] - $9.95 : Trail Explorers Outpost, Keeping the Adventure Alive! This Trails Illustrated topographic map for Denali National Park in the Alaska Range, crowned by Mounty McKinley, which at 20,320 feet is America's highest peak. 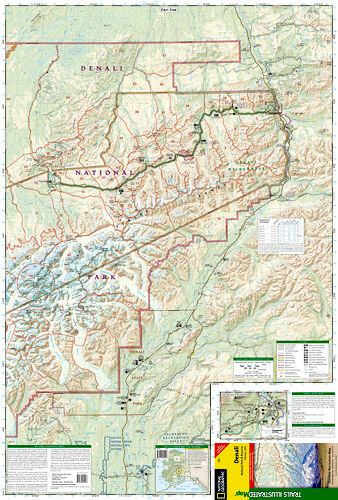 The map includes the entire national park area, with a close up view of the area in an around Mount McKinley. It also includes information about Denali National Park and Preserve, as well as useful tips about animal encounters, river crossings, hypothermia, and more.Includes UTM grids for use with your GPS unit.